The power of Cuban Son is back once again to the Byron Latin Festival. Eric & Chantal Turro Martinez international Soneros will perform and teach at the well known Latin Festival at the heart of Byron Bay. There is no doubt the world class of the Cuban dance Master Eric Turro Martinez already with an European tour on his pocket this 2014 and touring France on December 2014 with the Bar at Buena Vista will highlight once again the stage of Byron. Recognised by the Cuban government as a true "Ambassador of the Cuban culture worldwide" there is not doubt the Cuban culture is present at this year festival. The Bar at Buena Vista is touring France. After a successful tour in Europe, The famous International Cuban show will tour France for first time. Eric Turro Martinez is the man who brought Cuban traditional dance to the world stage, through the Buena Vista Social Club (2000-2005) at the Hotel National and Riviera Hotel in Havana, touring internationally since 2004 with The Bar at Buena Vista. After a successful tour through Europe with the Bar at Buena Vista, the Cuban dance master Eric Turro Martinez will be performing alongside with wife and dance partner Chantal Turro Martinez at the Sydney Cuban Salsa Congress. The couple are the high caliber international perfomers and teachers at the 2014 congress in Sydney. There is not doubt the presence of the international dance master will give a powerful highlight to the rich Cuban exposicion of performing arts. 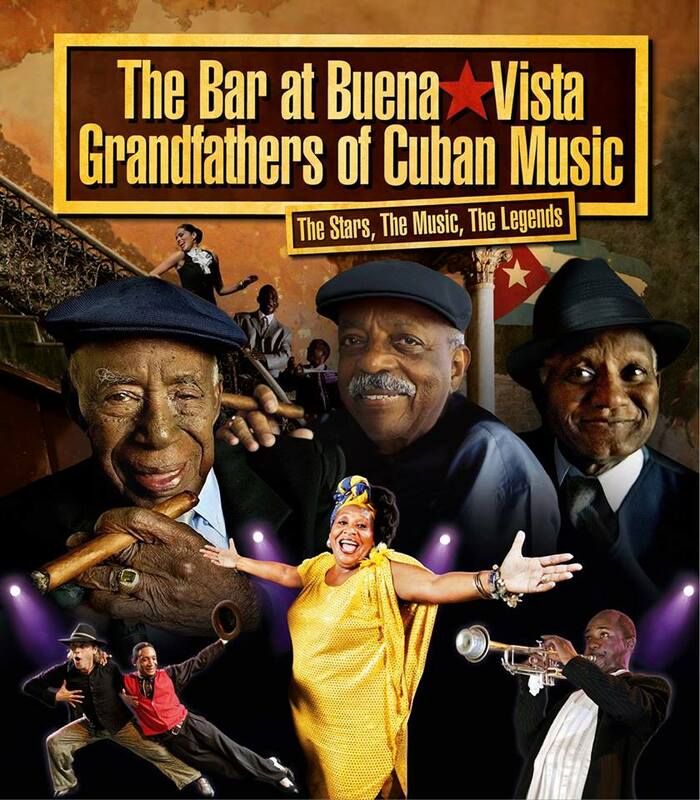 The Bar at Buena Vista is touring Europe in 2014 once again. Cities: Munchen, Graz, Linz, Nuremberg, Stuttgart, Manheim, Freiburg, Karlruge, Essen, Bremen, Berlin, Zurich, Dortmund, Hamburg, Koln, Dusseldorf, Baden-Baden, Frankfurt. The Master of Cuban Son; Eric Turro Martinez touring once again with the international Cuban show The Bar at Buena Vista, bringing the traditional Cuban dance to the greatest stages of Europe. 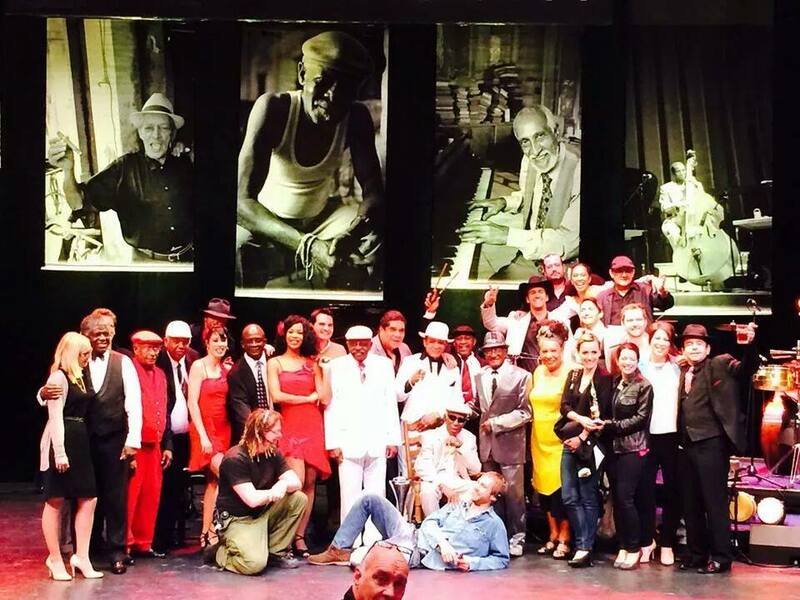 First of its Kind Festival Celebrates Cuban Arts, Music, Dancing, Cuisine, Rum & Cigars! If you love a good carnival but not necessarily the Spring Racing kind then head to Melbourne’s Windsor Hotel during the first week of November. 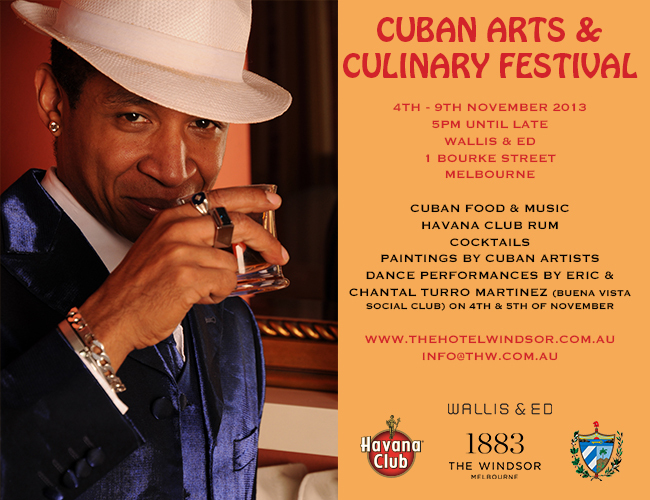 The hotel is hosting Melbourne’s first Cuban Arts & Culinary Festival, sponsored by the Embassy of the Republic of Cuba, in its Wallis & Ed function venue from November 4 to 9. Highlights will include a showing of 23 paintings by Cuban artists, many not seen before in Australia, famed Cuban dancers Eric and Chantal Turro Martinez, platters of Cuban food based on recipes provided by the wife of the Cuban Ambassador to Australia, Cuban music, and of course, Cuban rum and cigars. “The Embassy of the Republic of Cuba is proud to sponsor this festival at Melbourne’s historic Windsor hotel,” Cuban Ambassador to Australia Pedro Monzon said. “Cuba’s complex history and culture is a reflection of primarily Spanish, African and Chinese influences, along with French influences from Haiti. These have merged over many, many years to produce the exuberant and unique Cuban culture that is now respected around the world and that fascinates so many people. The hotel’s CEO David Perry said the week-long festival would be a vibrant and unique celebration of a special country. “Cuba retains a special mystique for many people, although the power and beauty of its visual arts, music and dancing is known and revered around the world,” he said. “For the first time in Melbourne, thanks to the support of the Embassy of the Republic of Cuba, we are bringing together all the elements that make the rich tapestry that is Cuba today. It will be a one-off experience, and the chance for many Melbournians to see and learn more about Cuba. Cuban dancer Eric Turro Martinez, known as the king of Cuban traditional dance, was lead dancer during the 1990s with the Buena Vista Social Club in Havana. He now teaches Cuban dance in Australia with Australian-born Chantal Martinez. They will appear, along with a four-piece band, on November 4 and 5. THE MASTER IS BACK AT BYRON..! Cuba's undisputed dance master Eric Turro Martinez is back to the one of greatest Latin American festival in Australia: The Byron Latin Fiesta. As usual the international Cuban master will be performing and teaching with his wife dance partner Chantal Turro Martinez. The crowd is looking forward to see the International couple once again after two years away from the well known event. There is not doubt that the presence of the true source of the Cuban traditional dance will high light once again the majestic surround of the Byron area this 2013. 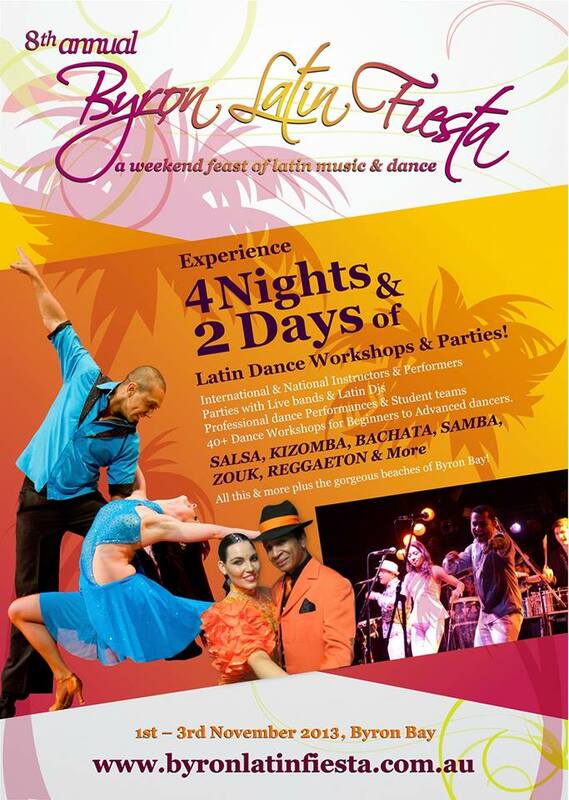 The whole Buena Vista Turro Martinez dance school will be part of this event. See you at Byron Latin Fiesta 2013. 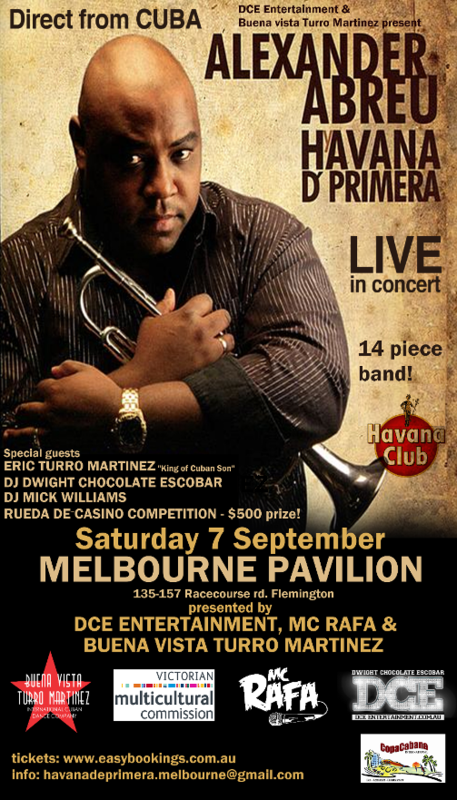 Alexander Abreu, and his Grammy-nominated 14 piece band, Havana D’Primera, will debut in Australia on September, 2013 part of the International “Pasaporte Tour”. Havana de Primera will be joined on stage by Cuba’s king of Son; Eric & Chantal Turro Martinez, Eric Turro is the choreographer and lead dancer of the international hit touring shows: Bar at Buena Vista, Havana Rumba, he is internationally recognised as one of the best dancers Cuba ever produced and the strongest link with Buena Vista Social Club’s old generation. DJ Dwight Chocolate Escobar the official DJ for the tour will be playing the best tunes during the concerts and after parties. The first “Rueda de Casino Competition” under artistic direction of Cuban master Eric Turro Martinez, Vice president of the Fundacion Internacional Casino Para Todos, making Eric Turro Martinez one the highest autorities on Casino worldwide. We have confirmation for the 2014 tour of the Bar at Buena Vista. This time the international hit show will be touring Europe from the 17th March 2014 through to 27th April 2014. As usual The Master of the Cuban Son Eric Turro Martinez as choreographer and lead dancer of the show once again will be touring Europe with the international show. Congratulations to Eric Turro, one of Cuba's undisputed talents, European fans will joy once again the presence of the Cuban master and his own style of dancing Cuban Son.